The latest video from Iranian/Finnish martial artist and filmmaker Ramin Sohrab has debuted and it's smoking. Our friends at Film Combat Syndicate debuted the video, along with this description: "Sohrab plays a man on his way to play his violin one last time for his wife, but not until he sets out into the seedy criminal underworld to retrieve it from the thieves who stole it from him." The proof-of-concept video was shot in Helsinki, Finland. Among Sohrab's credits, he made another promo video back in November 2014 for a project titled Malek. As our own Todd Brown wrote at the time: "Sohrab has released a promo reel which he directed and choreographed himself to show off both his skills and the look of the film and both are impressive. This guy can flat out move." 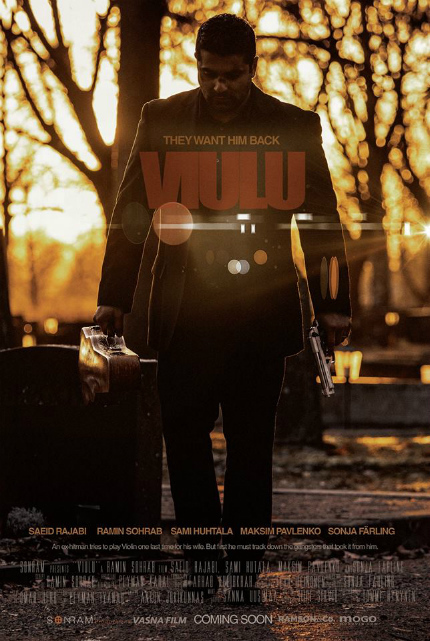 That's true of the Viulu video as well, which looks to be setting up a good story as well. Somebody give this guy money! Until then, watch the video(s) below. Malek from Sonram Productions on Vimeo.